Cebu (Se-Boo): A domesticated ox characterized by a dewlap and a large hump over the shoulders. 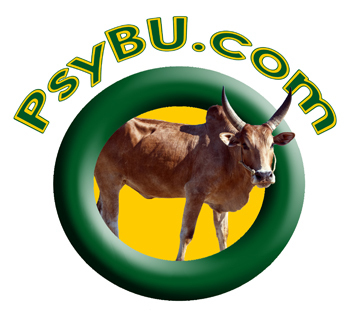 PsyBU (Sie-Boo): Taken from the words "psychology" and "Baylor University." A website for students taking Keith Sanford's statistics course. For contact information, visit my Baylor academic page located at http://www.baylor.edu/psychologyneuroscience/index.php?id=72589. The Couple Conflict Consultant, located at www.Pairbuilder.com, is a free internet program that helps couples build strong relationships. The Parting Parent Survey, located at www.Parting.PsyBu.com, is a free internet program for mediators and divorcing parents wanting the best possible outcomes for their children. SanfordSpace.com is Keith Sanford's music website.